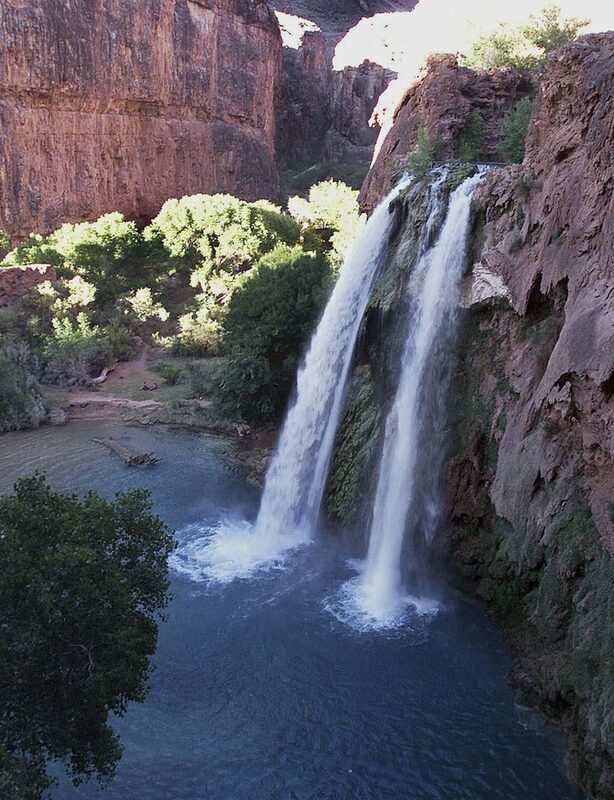 Tourists can visit the waterfalls, either by reserving a room at the tribe’s only lodge or by snapping up a coveted permit for one of its hundreds of camping spots scattered amid a creek. But starting in February, visitors will have to find their own way to the reservation’s waterfalls and caves and carry their own food and gear. The permits are $100 per person per night Monday through Thursday, and $125 a night Friday through Sunday, slight increases over last year. The tribe grants about 300 camping permits a day, Fink said. Adam Henry, co-owner of Discovery Treks, books between 100-200 people on the Havasupai trip each year but has had to stick to offering trips in other spots of the Grand Canyon. He says that’s not always welcome news for tourists intent on venturing to the waterfalls. Not a problem! Everywhere I’ve been that’s under control of Native Americans has been ridiculously over priced. Think Grand Canyon West and Monument Valley. There are plenty of alternatives, less than a few hour’s drive from St George. Thanks for this article, now I know not to ever spend my money there. Time to close reservations, divide land among the members, and sssumilate into America. We are one nation. Period. The reservation system’s only success was to destroy most of the tribal members by removing pride and purpose in life. Let them have their own land and a job. A job is a wonderful thing to have. It provides pride and purpose. Good for them! I hope they slow the tourism growth down, don’t over-develop it and preserve the natural environment. We seem to have trouble saying “NO” to tourism companies and developers around here in the St George area. This beautiful tourist treasure will become a dump. Things are poorly run now but without professional guides the NA culture will make it more of a mess. Individual tourist will be lucky to find most services up and running before noon and trash will pile up more than it does now.